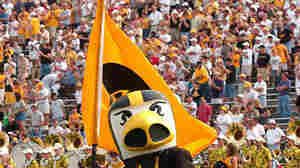 August 30, 2012  Herky's Nest serves as a premium seating area in the Kinnick Stadium for children and families from the University of Iowa Children's Hospital. 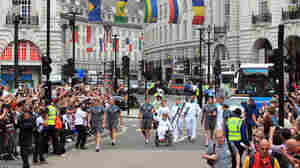 August 30, 2012  Among the athletes at the ongoing 2012 games in London are veterans of the wars in Iraq and Afghanistan. Organizers of the games say the vets raise the caliber of the competition. And injured veterans say Paralympic sports provide inspiration and the prospect of a normal, active life. August 29, 2012  Melissa Block speaks with U.S. Paralympian and flag bearer at the Paralympics opening ceremony, Scott Danberg. 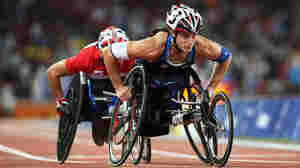 The competition, which opens tonight in London, will be Danberg's fifth Paralympic Games. 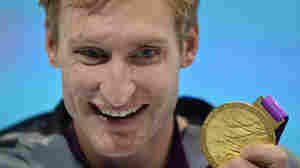 Over the years he has participated in multiple events, from power-lifting to javelin. August 28, 2012  A flame-lighting ceremony Tuesday evening in Stoke Mandeville, England, marks the beginning of the 2012 Paralympic Games. Melissa Block explores the history of the sports competition, which brings together disabled athletes from around the world, with Ian Brittain. Brittain is the author of The Paralympic Games Explained. August 28, 2012  A coalition of sports medicine organizations has created guidelines to prevent high school football players from getting heat stroke, but so far only a handful of states have signed on. Will Kick-Off To Football Season Bring More Boos? August 27, 2012  The NFL is in a pay dispute with referees, and replacement refs have been working the preseason. Players and unionized officials say the substitutes are struggling, and that it'll only get worse. They cite safety as their biggest concern. Host Michel Martin discusses the issue with Pablo Torre of Sports Illustrated. August 27, 2012  The video game franchise is the largest of its kind in all of North America. Its success comes thanks to the complicated team effort of a few interested parties: the NFL, the software company that makes the game, and ESPN. August 27, 2012  The U.S. Open gets underway in Flushing Meadows, New York, Monday. For a preview, Steve Inskeep talks to Jon Wertheim of Sports Illustrated. Roger Federer is the favorite on the men's side while Serena Williams is the overwhelming favorite for the women. August 26, 2012  Only four of the top 100 ranked tennis players in the U.S. are African-American. But groups like the Washington Tennis and Education Foundation are working to level the court, and create opportunities for kids who wouldn't otherwise have the chance to play. August 26, 2012  NPR's Mike Pesca joins Weekend Edition Sunday guest host Linda Wertheimer to talk about two high-profile steroid suspensions in baseball.